Established in 1891, the University of North Carolina is a public research university located in Greensboro, North Carolina, United States of America. It is a constituent institution of the University of North Carolina system though it is a stand-alone university and awards its own degrees. UNCG is accredited by the Southern Association of Colleges and Schools Commission on Colleges to award baccalaureate, masters, specialist and doctoral degrees. The university's academic schools and colleges include the College of Arts & Sciences, the Joseph M. Bryan School of Business & Economics, the School of Education, the School of Health and Human Sciences, the Joint School of Nanoscience & Nanoengineering (one of the first such schools in the nation), the School of Music, Theatre & Dance, the School of Nursing, Continual Learning, Graduate School, Warren Ashby Residential College and Lloyd International Honors College. The university offers more than 100 undergraduate, 61 master's and 26 doctoral programs. The most popular majors at University of North Carolina-Greensboro include: Business Administration and Management, General; Registered Nursing/Registered Nurse; Psychology; Kinesiology and Exercise Science; and Human Development and Family Studies. The university follows a semester based academic calendar. The total student population at the university is over 19,300 of which more than 15,900 are enrolled in undergraduate programs. The student to faculty ratio at the university is 18:1 and the acceptance rate is 74%. 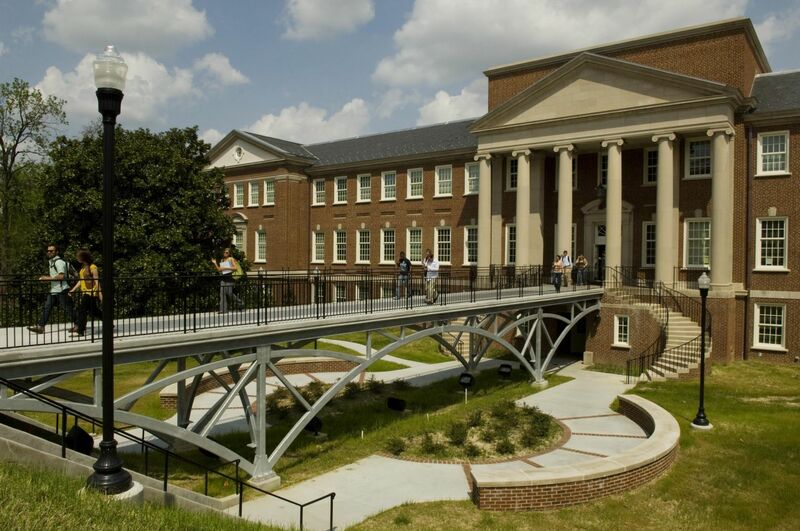 UNCG is recognized in Forbes 2010 America's Best Colleges. The university has been classified by the Carnegie Foundation for the Advancement of Teaching on two parameters, one as a "research university with high research activity" and second for “community engagement” in curriculum, outreach and partnerships. The MM in Composition is a two-year degree. In addition to private composition study, students take courses in orchestration, electronic music, counterpoint, advanced theory and history and electives. Assistantships are available, as are a limited number of in-state and out-state tuition waivers.Graduate Assistants in Composition are routinely assigned to teach Composition Skills or Making Music with Computers, assist in activities of the Composition Studios, help maintain and organize the Electronic Music Studios, give tech support for public events, and teach or assist with Music Theory. Arts administrator, Broadcast engineer, Community arts worker, Event manager, PPC specialist, Radio broadcast assistant, Radio producer, Theatre stage manager. "The Bachelor of Fine Arts in Art Education focuses on developing advanced studio skills, art history content, technology applications, preparation in liberal studies, and art pedagogy. Upon successful completion of the art education program, students are recommended for ""A"" teacher licensure. The program prepares undergraduates to become competent, dedicated, and effective art educators at the elementary (K-5), middle school (6-8), and secondary (9-12) levels. Students entering UNCG who wish to pursue a BFA in Art Education must submit to a portfolio review and successfully complete the Foundations Program." Application and fee or fee waiver (Note: UNCG accepts fee waivers for first time students from SAT (College Board or Counselor), ACT, and NACAC. Official high school transcript, GED scores or adult high school diploma, if applicable. Official scores from the SAT or ACT. Official college transcripts from any post-secondary institution(s) attended. Career options include teacher, museum curator, paper conservator and bookbinder, graphic designer, art administrator, freelance artist, Web designer, furniture designer, and studio artist. African American and African Diaspora Studies Major (AADS) B.A. The African American and African Diaspora Studies major gives students an integrated and critical understanding of the experiences and contributions of peoples of African descent throughout the world. The Bachelor of Arts in African American and African Diaspora Studies provides its majors with an opportunity to learn about the experiences of people of African descent in America and abroad. Through a study of history, literature, music, media images, and other disciplines, students develop a comprehensive knowledge of an American experience and how that experience compares to the experiences of all human citizens. The General Anthropology Major provides training in human biological, social and behavioral science within the broader framework of a liberal arts education. 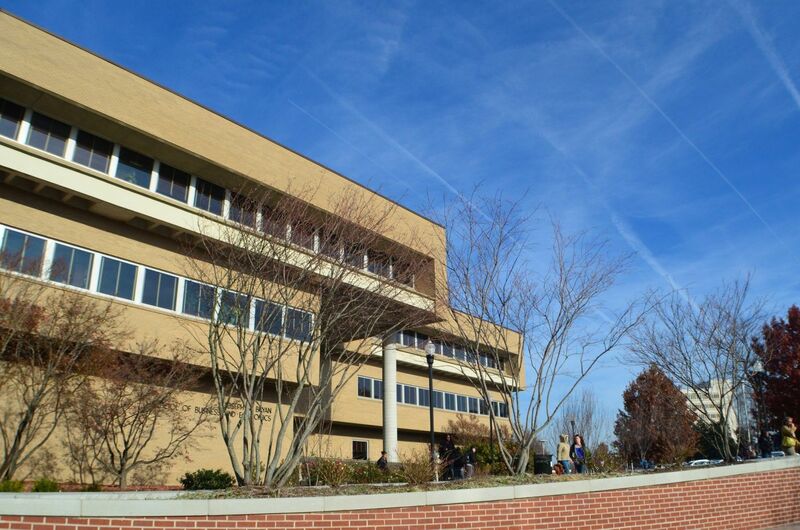 The annual cost of living at University of North Carolina, Greensboro is $9,000 approx.